A bipartisan group of Senators proposed a bill Thursday that is aimed at preventing President Donald Trump from exiting the North Atlantic Treaty Organization without the Senate's consent. [post_ads]Sens. John McCain, R-Ariz., Cory Gardner, R-Colo., Jack Reed, D-R.I., and Tim Kaine, D-Va. presented the legislation, which says the President may only withdraw from NATO "pursuant to the advice and consent of the Senate, provided that two-thirds of the Senators concur, or pursuant to an act of Congress." In the past, Trump has threatened to withdraw from NATO if the country members do not increase their share of the organization's defense budget. Only five of the 29 member nations spend the agreed-upon 2 percent, leading Trump to criticize them as "freeloaders." 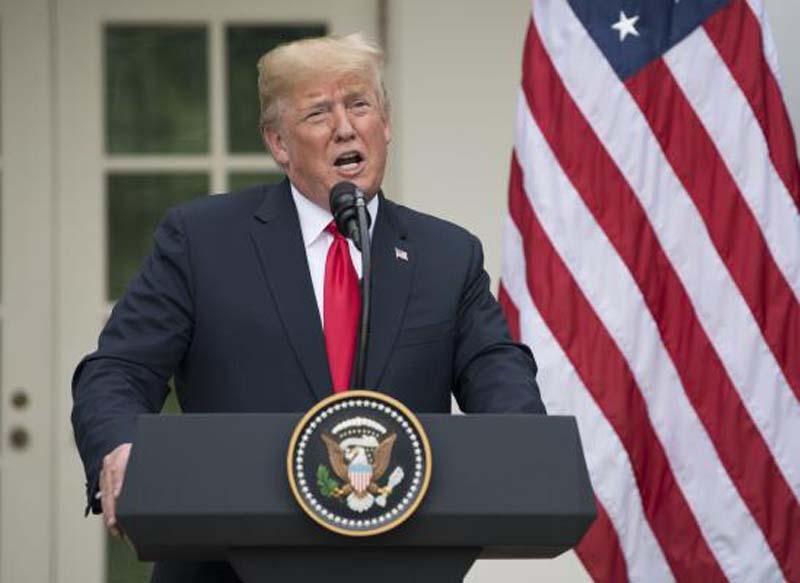 Earlier this month, Trump said a withdrawal would be "unnecessary" after countries agreed to reach the 2 percent threshold within the next six years. But Trump's talk about leaving NATO unnerved the Senators sponsoring the bill enough to put a safeguard in place that would prevent Trump or any future president from leaving NATO. "As the Constitution requires and this legislation reaffirms, any change proposed by this administration or future administrations regarding America's standing in this alliance can be done only with the advice and consent of the Senate," Gardner said in a statement.